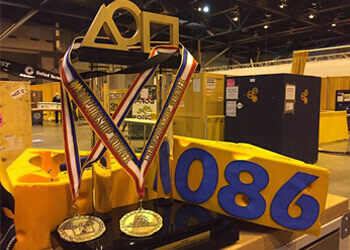 Powertrain Control Solutions currently sponsors Deep Run High's robotics team, "Blue Cheese Robotics." 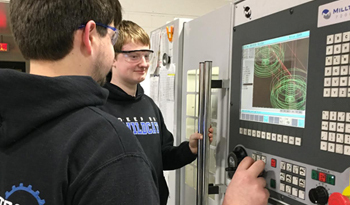 As a sponsor, PCS facilitates and often times offers engineering experience to the students during the competition season. PCS is proud to help its communties' youth strive for a better tomorrow. Blue Cheese Robotics, based in Glen Allen, VA at Deep Run High School, participates in the FIRST Robotics Competition as Team 1086. FIRST is an international organization focused on inspiring students to pursue careers in math, science, and technology. More than 1500 teams around the world participate in the FIRST Robotics Competition. Teams of high school students and professional engineers are presented with a new engineering challenge every January. Students work with professional engineers to design and build a robot to complete the challenge tasks. 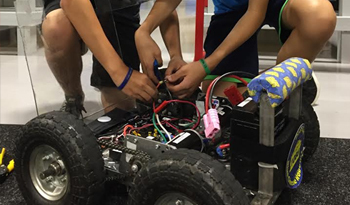 After six weeks of building, teams come together in exciting competitions where alliances of three robots compete against each other in a sports-like atmosphere.